Saturday, 16 March 2019, 11:02a.m. A man facing a murder charge for the Christchurch terrorist attack was a Dunedin resident Prime Minister Jacinda Ardern has confirmed. Ardern confirmed in a press conference this morning the main suspect, who is appearing in court this morning charged with murder, was a Dunedin resident. This comes amid a report a bomb squad is in the city as police investigate a "location of interest" linked to the attack. A person who worked at South Dunedin gym the man frequented said he had been a member since October 2017. She had never heard of him raising his views about muslims. The attack was a massive shock to members of the gym. "It's just so crazy. You wouldn't expect something like this." She said she talked to him reasonably regularly as part of her job. The man liked to talk about his travels and was often overseas, including a recent trip over the Christmas break. The man had a strange accent, which she described as sounding like an upper class English accent, with an Australian twang. This comes after police last night confirmed they were at a Dunedin "location of interest" in relation to the Christchurch terror attack which killed 49. 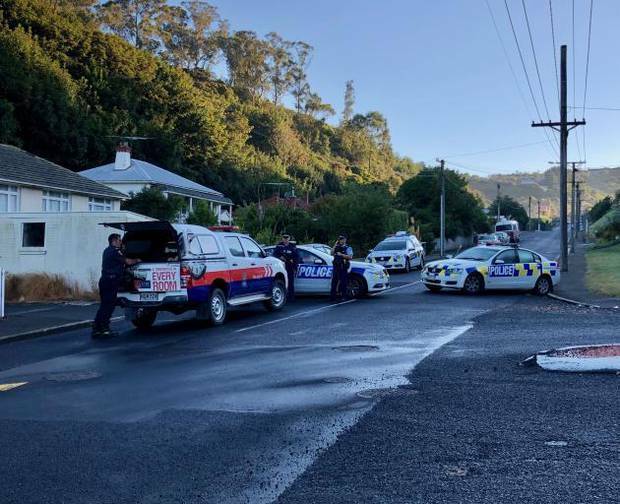 A resident of Somerville St where there was a heavy police presence this morning told the Otago Daily Times he was still unable to return to his property, but he had been told a police bomb squad was in town and residents may be able to return after midday. A mosque shooter said in a manifesto published on social media before the attack he originally planned to target Dunedin's Al Huda Mosque. Part of Somerville St in the suburb of Andersons Bay remained closed this morning as police investigate a property linked to the yesterday's shootings. Armed police and a Fire and Emergency New Zealand command unit were present on the street this morning. Residents were still not allowed to return to their homes. A car used in the attacks was registered to an address in the street and bought at a Dunedin car yard. A Somerville St resident, who did not want to be named, said he lived a few houses away from the accused and often saw him working out at a South Dunedin gym. The resident said the man kept to himself and when they did talk the man said it was only briefly. It was not known if he lived by himself in the Somerville St property. Police have been unable to say when residents evacuated form their homes last night would be able to return. Last night more police flooded the street about 7.30pm and a reporter at the scene at 8.20pm said residents near the property of interest had been evacuated and residents at the cordon told they were not allowed to return. The street was blocked from Every St up to Dunrobin St. The video on Facebook, he said, was labelled "Only for Muslims. Please do not redistribute". "After visiting the mosques in Christchurch and Linwood and seeing the desecration of the church that had been converted to a mosque in Ashburton, my plans changed," he wrote. He claimed the Christchurch mosques contained "more adults and a prior history of extremism". "Whilst I am unsure as of this time of writing whether I will reach that target, it was a bonus objective," he wrote. Al Huda Mosque was guarded by armed police for parts of yesterday and this morning a police car and two officers were stationed outside.